10 Oily Hair Hacks For Those Shining Tresses This Shaadi Season! Have a wedding to attend and don’t have time to wash your hair?! We know that managing greasy and oily hair can be frustrating and we don’t want you to compromise even a slightest bit during the wedding festivities. Here are some easy and pocket-friendly oily hair hacks for you to keep the grease under control and make your tresses look beautiful as ever. Greasy Hair Hacks You Didn’t Know About! Hair should be the last thing you should be worrying about when it’s time to party! Here are some hacks that will have your tresses looking glam in a jiffy! Out of all the hacks for greasy hair, corn starch tops the list! You don’t have to spend oodles of money buying expensive hair care products. Instead, borrow stuff from your kitchen to hide away your greasy hair. Simply mix corn starch powder along with cocoa powder and massage it along the roots of your hair. This would not only help in keeping the oily hair in control but would also ensure it smells heavenly! Use these hair section clips (Rs 699) to part your hair and apply the products easily in all sections. Before dry shampoo was invented, baby powder was used to hide and manage oily hair. Sprinkle a pinch of baby powder along your part lines, rub it in and see the grease vanish instantly. Oily hair usually tends to become limp and flat and attending a wedding with the same can be a cause of worry! Thus, to avoid such a ‘sticky situation’, we suggest, you add some volume to your hair by blowdrying it. Make sure you use a round brush and some rollers to make the blow drying even more easier and efficient. Out of all the oily hair hacks, this one is a lifesaver! A magic product for all your hair woes! Use this Remington Round Brush (Rs 1,295) which would help you add volume to your hair instantly. Yes, just like how blotting paper can be used to blot oil from your face, it can also be used to absorb oil from your scalp. Simply part your hair in a few sections and run a blotting paper along your scalp and roots, and you’ll be good to go. You don’t talk about greasy hair hacks without mentioning dry shampoo! Since you don’t have time to wash and condition your hair and then wait for a few hours for them to dry, simply use a dry shampoo. Spray it all over your hair, including your roots and then run a dryer. You would be amazed how fresh your hair would look in just a few seconds! Say goodbye to oily hair by simply spraying BBLUNT Back To Life Dry Shampoo (Rs 550) to give them an instant dose of freshness. Just like it helps you tidy your hands without using water, it can help clean your hair too! Massage a few drops of the sanitizer in the roots of your hair and it will surely ward off the oils. The alcohol present in the sanitizer helps break down the grease and would instantly make your hair look fresher. Don’t be scared, this is the perfect oily hair hack to help get rid of the grease and make your hair smell amazing at the same time! Just like sanitizers, the alcohol present in the perfume would help you get rid of your greasy hair. Although, this tip works really well, avoid using a strong smelling perfume or if you have skin allergies as it could cause irritation and dry out your hair. Baking soda with its powdery nature helps to absorb the dirt and the oil easily. Use your make- up brush and apply a small amount on your hairline and scalp. You could also use your fingers to rub the product properly and also remove the excess baking soda particles. A sneaky yet smart way to hide your oily hair is by accessorising them. Twist the front of your hair and hold them back using a pretty hair pin. You could also use a stylish hair band and shift the attention and focus away from those oily strands. Sweep your hair back with this Braided Hair Band (Rs 249) and give your hair a stylish and glamorous look! 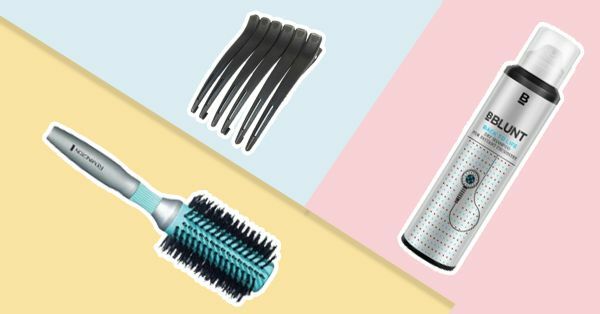 With these greasy hair hacks, you will never have to worry about looking anything less than your absolute best this shaadi season! Here is a video on DIY Oily Hair Hacks. Do watch!